The Brain Balance Achievement Center of Southlake helps children find success both inside and outside of the classroom by overcoming their social, academic, and/or behavioral challenges. The Brain Balance Program has helped tens of thousands of children with learning and developmental issues through our holistic approach. 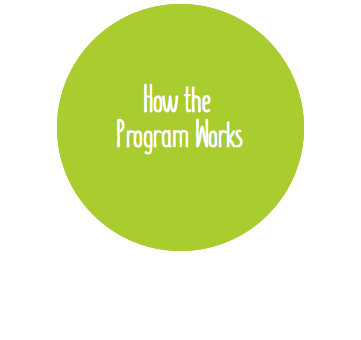 The Brain Balance Program is able to help children with dyslexia and other learning disorders by creating a customized plan just for them! In order to identify each child’s unique challenges, a child is given a personalized assessment to complete upon enrollment in the program. The assessment consists of sensory motor and academic testing and is performed in a single session. We will use what we learn based on the results of the personal assessment to set up your child’s program regimen. The Brain Balance Achievement Center of Southlake works to improve developmental functions with your child through a drug-free, integrated approach. The Brain Balance Program combines academic activities, sensory motor training, nutritional guidelines, and take-home exercises to help your child reach their goals. Dyslexia is a learning disorder that causes children to have difficulty reading. Dyslexia can show itself in different ways and can involve a number of reading challenges, which can cause academic struggles. Characterized by difficulty recognizing letters, learning letter sounds, and identifying rhyming words, dyslexia in children is often identified when a child reaches kindergarten. Early signs of dyslexia in kids include poor fine motor skills, trouble learning the alphabet, numbers, days of the week and learning to talk later than most children. While dyslexia is a lifelong learning disability, our approach to dyslexia can help to improve reading, spelling and writing skills and can allow children to function better in an academic setting. The Brain Balance Achievement Center of Southlake has developed a dyslexia program that can help your child overcome their learning obstacles. When your child is enrolled in The Brain Balance Program, we create a personalized plan for your child that is geared toward dyslexia challenges. This plan includes 3 in-center visits per week in addition to at-home activities that will help your child reach their learning, social, and behavioral goals. Our dyslexia program has helped several kids in the Southlake area and thousands of children across the country. Learn how The Brain Balance Program has benefited children with dyslexia by reading our stories from parents whose children have gone through the program. Brain Balance Achievement Center of Southlake has a plan for children with dyslexia. If your child is struggling with recognizing letters, learning sounds, and/or identifying rhyming words, we can help. Call (817) 416-9097 to learn more about how Brain Balance can help children with dyslexia and sign up online today!